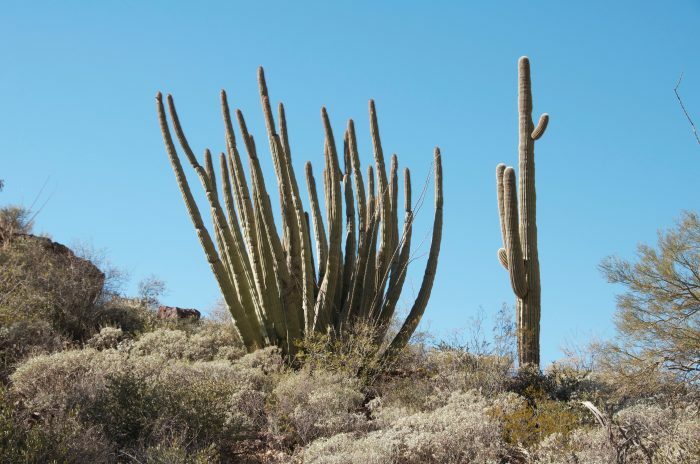 The unique beauty, biodiversity, and inherent biological and cultural value of Organ Pipe Cactus National Monument merits both designations – US National Monument, and UNESCO World Biosphere Reserve! 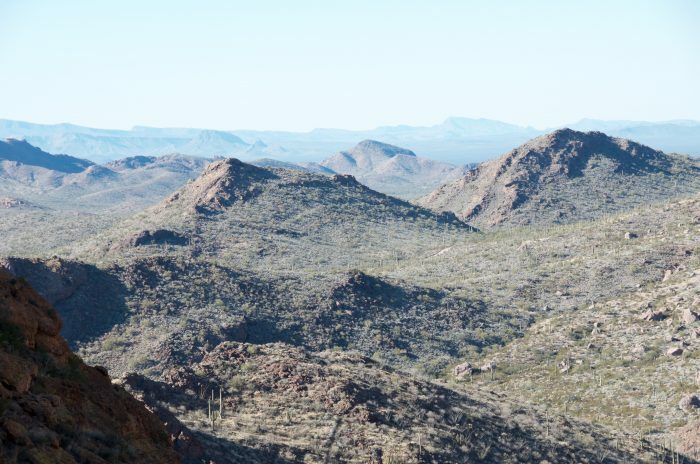 Protecting over more than 329,000 acres, the Organ Pipe Cactus Wilderness preserves the natural beauty of an expansive area within the Sonoran Desert Region, along 30 miles of the international border with the Mexican state of Sonora. Organ Pipe Cactus National Monument is bordered to the northwest by Cabeza Prieta National Wildlife Refuge and to the east by the Tohono O’odham Indian Reservation. 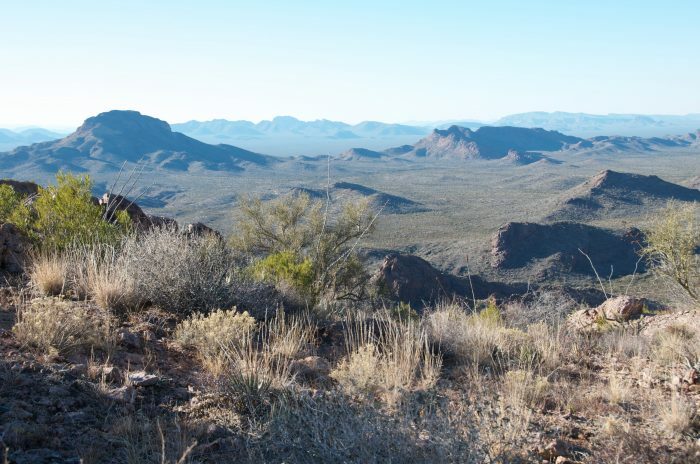 This vast and majestic wilderness showcases pristine Sonoran Desert habitats in excellent condition with unique biodiversity. 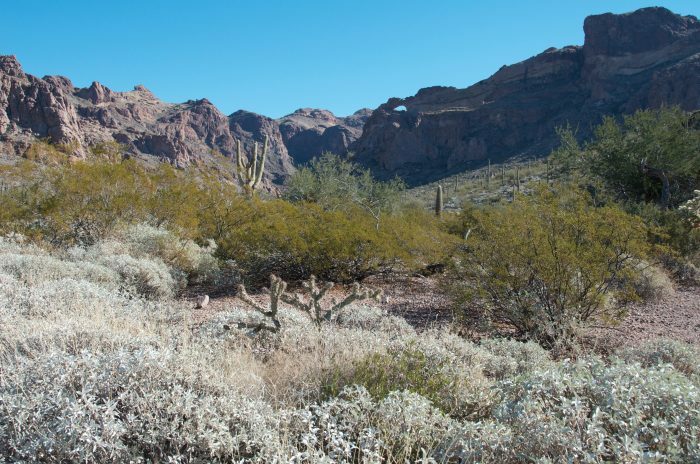 Biologically, the Sonoran Desert is the richest and most diverse of North America’s four arid regions. 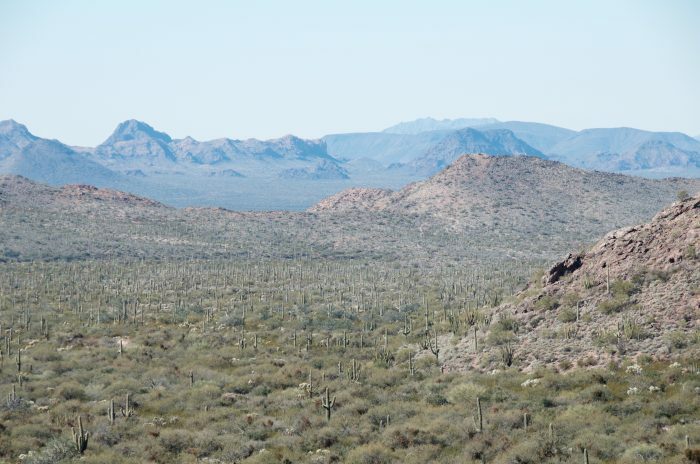 It covers nearly 120,000 square miles, with 516 square miles of it found within Organ Pipe Cactus National Monument. It’s mild winters and two rainy seasons allow unique plant communities to prosper at all elevations. 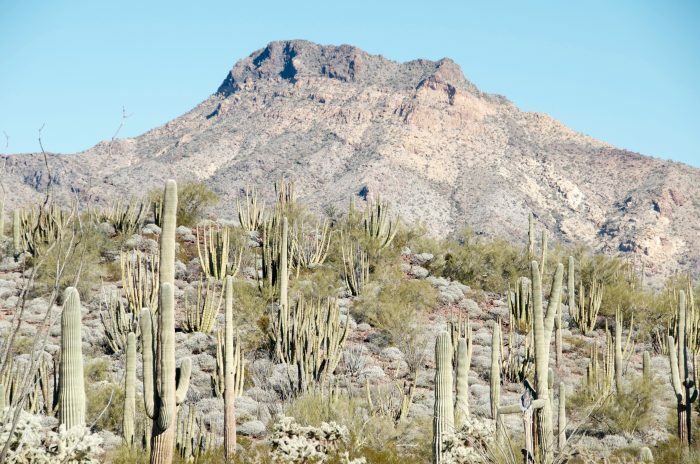 Mount Ajo at 4,808 feet on the eastern border stands in contrast to broad alluvial desert plains studded with cacti and creosote bushes, isolated canyons, bajadas, valleys, dry arroyos, and mountains. 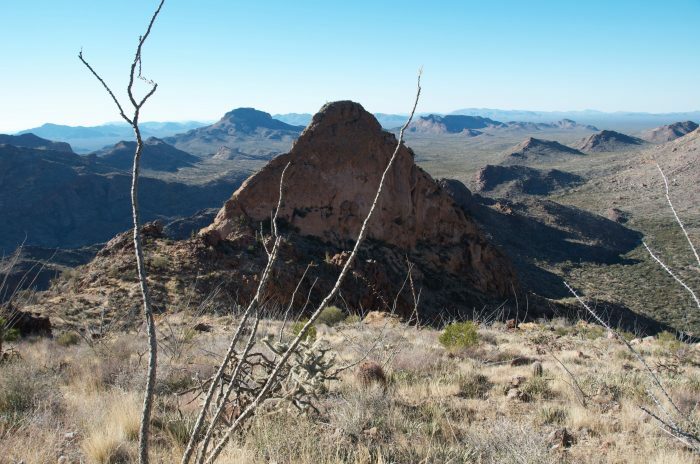 Led by Naturalist, Ethnobotanist, Wildlife Biologist, and Wilderness Survival Instructor Vincent Pinto, discover the magic and beauty of Organ Pipe. He will guide 3 memorable days of slow-paced Naturalist explorations in a variety of highly unique habitats amidst a thriving community of plants and animals. 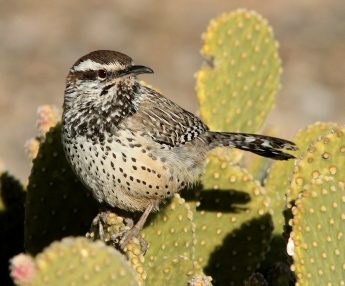 Join us to learn and celebrate a Sonoran Desert full of life: 589 species of vascular plants, 53 species of mammals, 43 species of reptiles, and more than 278 species of birds, in Arizona’s third largest Wilderness. Learn about their fascinating and complex evolutionary adaptations to survive and thrive in the Sonoran Desert! 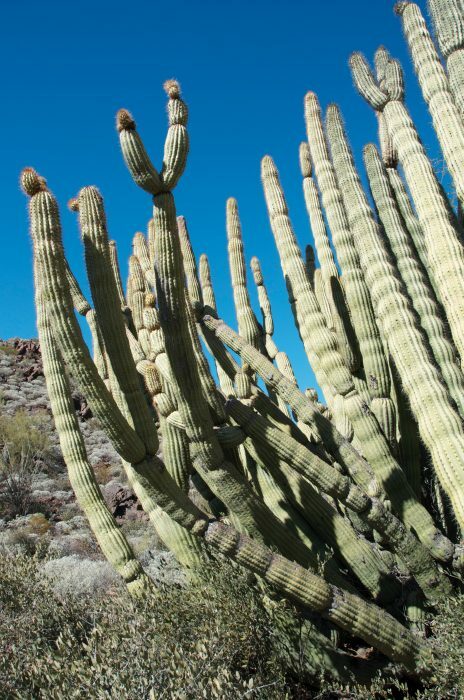 Organ Pipe Cactus National Monument protects 90% of the Organ Pipe Cactus’ range within the US, and includes two other species of towering columnar Cacti – Giant Saguaro and Senita. 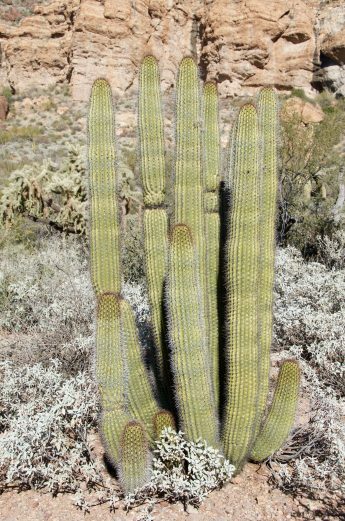 The Organ Pipe Cactus is a tropical plant, originally only found in the tropics of Central America, where the warm, wet climate helped the sensitive plant thrive. 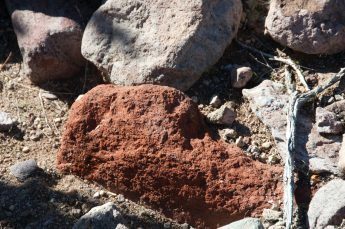 When the last Ice Age ended, the global climate warmed and the cactus slowly began migrating farther north, arriving in North America 3,500 years ago. Organ Pipe Cactus National Monument is at the northern limit of the Organ Pipe Cacti’s range. 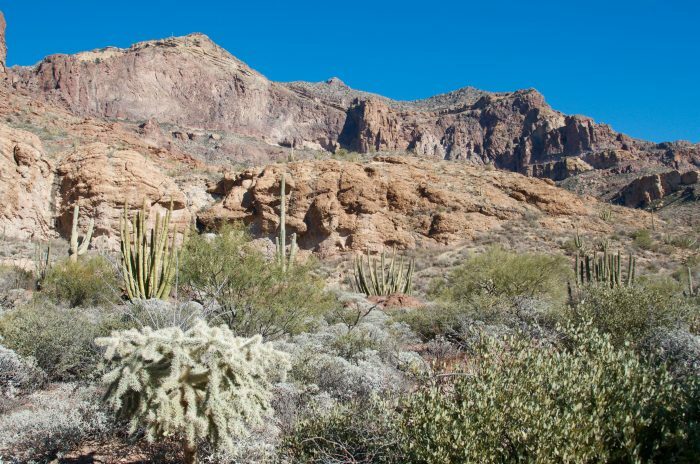 The strategic location of this vast wilderness area exposed the Organ Pipe Cacti to the perfect balance of hot and sunny day temperatures with cooler evenings, occasional rains, colder winter nights, and only occasional and short sub-freezing temperatures. The ongoing climate change challenges – warmer temperatures overall, scorching summers, long periods of drought, strong wind storms, torrential summer monsoons, and less winter precipitation – pose a real threat! Vincent will discuss the implications of climate change to this and other species at Organ Pipe Cactus National Monument. In addition, a very impressive list of Cacti species awaits: California Barrel Cactus, Emory’s Barrel Cactus, Fishhook Barrel Cactus, Buckhorn Cholla, Pencil Cholla, Teddy-bear Cholla, Jumping Cholla, Christmas Cholla, Diamond Cholla, Cane Cholla, Staghorn Cholla, Engelmann’s Prickly Pear, Pancake Prickly Pear , Sprawling Prickly Pear Yellow-spined Englemann’s Prickly Pear, Claret Cup Hedgehog Cactus, Engelmann’s Hedgehog Cactus, Nichol’s Hedgehog Cactus or Yellow-spined Hedgehog Cactus, Arizona Pincushion Cactus, Thornber’s Pincushion Cactus, Kunz’s Devil’s Club, Parish’s Devil’s Club, & Acuna Cactus. 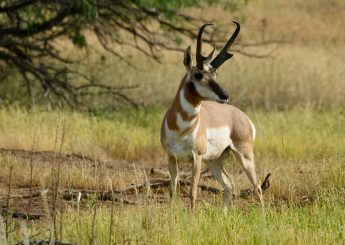 Vincent will discuss the status of the critically endangered and native Sonoran Pronghorn, with a current Sonoran population of only about 200 animals, according to Mark Hart, the Information Officer at AZ Game & Fish Dept. Sonoran pronghorn are herbivores and therefore they depend on annual vegetation to survive. 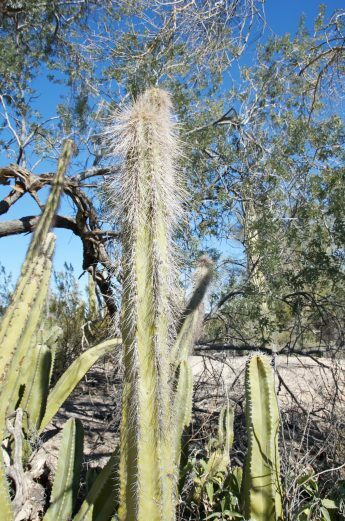 In 2002, due to the worst drought ever recorded at Organ Pipe Cactus National Monument, this native subspecies was pushed to the brink of extinction. Dwindling herds in search of food were forced from the safety of the valleys to bajadas at the base of the mountains, where evading predators is much more difficult. 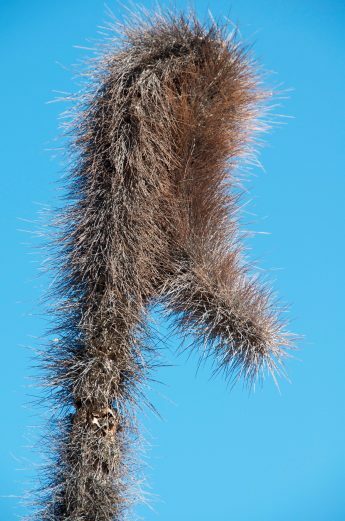 The endangered Lesser Long-nosed Bat , a nectar-feeding Bat, continues to thrive at Organ Pipe Cactus National Monument within the forests of columnar cacti where it forages and reproduces. 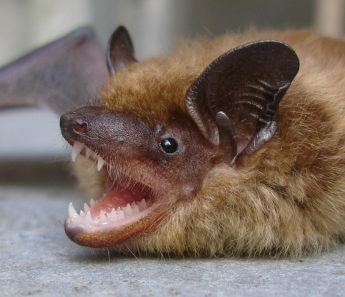 In May – while the Organ Pipe Cactus and Saguaro Cactus are in full bloom, lesser long-nosed bats migrate into Southern Arizona from Southern Mexico. They set up roosts in hot humid caves and mines, with thousands of individuals in a single dwelling. Their long, slender snout, small leaf-nose, bristled tongue, and small size are appropriate adaptations to survive on nectar, pollen, and fruit. Vincent will discuss the critical importance of bat pollination and seed dispersal to allow many columnar cacti to reproduce. Also, the ongoing conservation challenges that this key species faces. 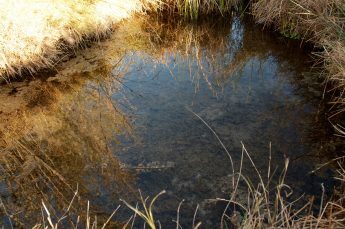 Quitobaquito, a critically important desert spring and pond also continues to support uniquely adapted plants and animals, including the endangered Quitobaquito pupfish. 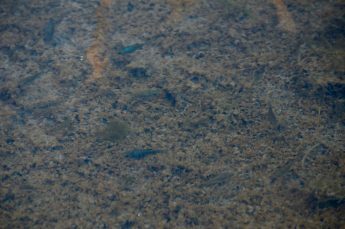 Their population rapidly expands or dwindles depending on food and water conditions. In abundant times they may number 8,000, but they decline under more challenging conditions. 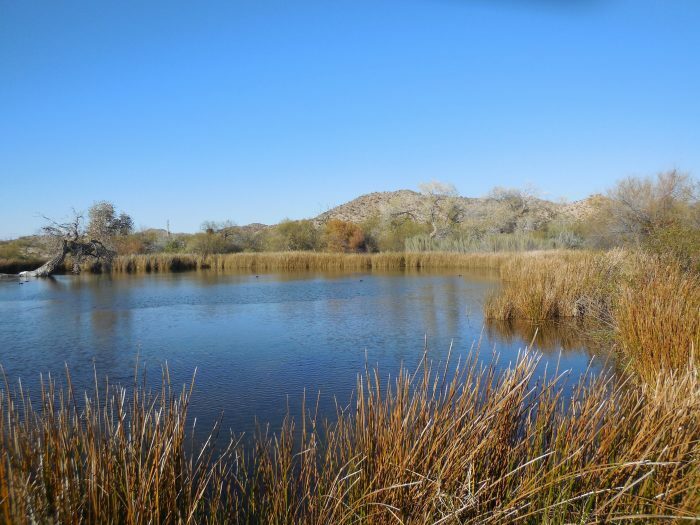 The springs at Quitobaquito known to the Tohono O’odham people as ‘A’al Waipia (Little Wells) is truly a desert oasis! Amazing wildlife sightings such as Herons, Killdeer, and Ducks stop by during their seasonal flights. White-throated Swifts, Black Phoebes, and Purple Martins live here year round. Other common species at Organ Pipe Cactus National Monument include: Red-tailed Hawk, Turkey Vulture, Black Vulture, White-throated Swift, Costa’s Hummingbird, Lesser Nighthawk, Greater Roadrunner, American Kestrel, Gambel’s Quail, Rufous-winged Sparrow, Rufous-crowned Sparrow, Black-throated Sparrow, Canyon Towhee, Brewer’s Sparrow,White-crowned Sparrow, Hooded Oriole, Scott’s Oriole, Curve-billed Thrasher, Lucy’s Warbler, Black-tailed Gnatcatcher, Phainopepla, Verdin, Cactus Wren, Canyon Wren, Bewick’s Wren, Ash-throated Flycatcher, Brown-crested Flycatcher, Flicker, Gila Woodpecker, Ladder-backed Woodpecker. 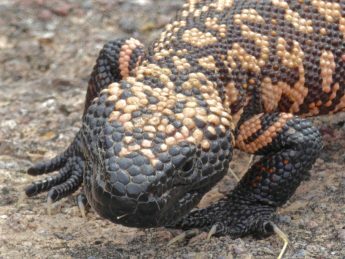 Wildlife sightings may include Gila Monsters, a wide range of Desert Birds – including wintering species typical of Mexico, Desert Bighorn Sheep and the westernmost Whitetail Deer in the region, Kangaroo rats, Javelinas, Coyotes, Jackrabbits, Snakes, and Lizards. Vincent has a Master’s Degree in Ethnobotany and will focus on the wild edible, medicinal, and other time-honored uses of desert and mountain plants. 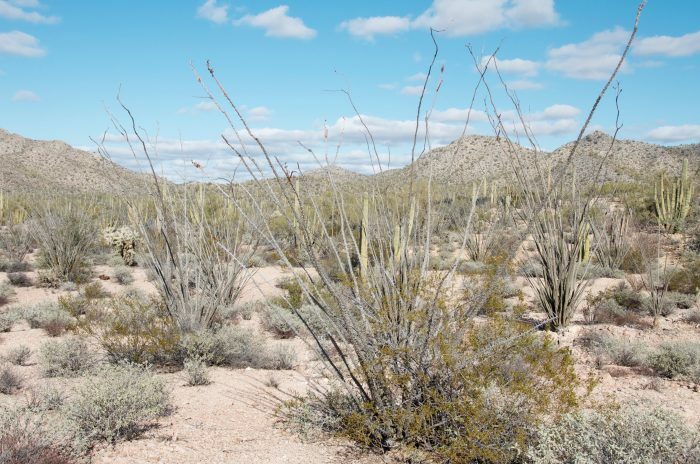 How did the O’odham people thrive within the austere confines of the Sonoran desert? 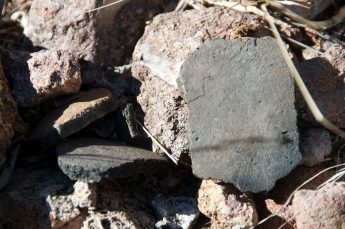 During every slow Naturalist saunter at Organ Pipe Cactus National Monument, we will look attentively to learn from the treasures left as evidence, chronicling thousands of years of desert living throughout this gorgeous land. 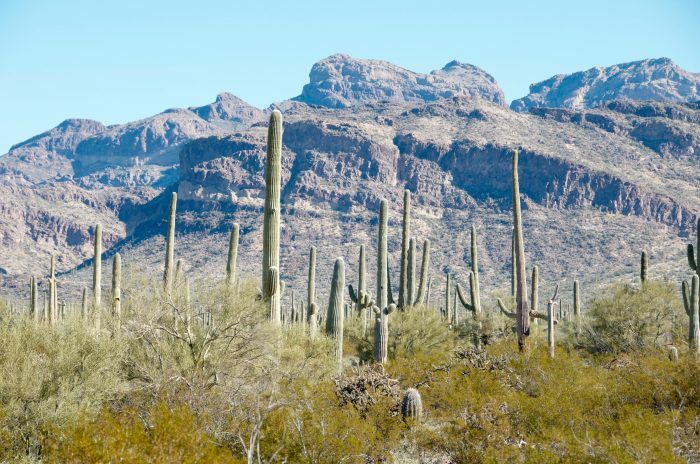 Ravens-Way Wild Journeys is grateful to Amy Stasch, the Organ Pipe Cactus National Monument Administrative Officer who reviewed and granted the CUA permit for all our RWWJ Naturalist Journeys – 3-day, 2-day, or 1-day options! Ravens-Way Wild Journeys proudly endorses the Sonoran Desert Inn and Conference Center located at 55 Orilla Avenue, Ajo, AZ. 85321 as the very best lodging option during your Organ Pipe Naturalist Journey. Every participant is responsible for making their own reservations. For details about the different types of rooms available and their rates please click here: Sonoran Desert Inn to visit their website. We encourage you to reserve your room as soon as possible either online or by calling (520) 775- 2565. The RWWJ group will be lodging at the Sonoran Desert Inn for 2 nights: Friday, January 25 & Saturday, January 26, checking out early on Sunday, January 27, 2019. Every participant is responsible for their own transportation throughout the event. We thank you in advance for choosing to carpool with your friends to minimize the number of vehicles at Organ Pipe Cactus National Monument. To comply with their regulations, participants will follow the RWWJ lead vehicle during the 3-day explorations. All participants must provide the type/model/license plate of their vehicle and the names of the participants who will share the ride. 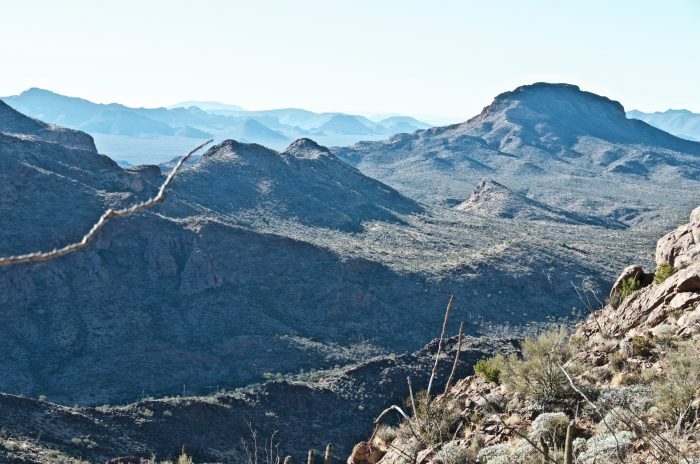 For local Ajo Participants joining our event, the meeting location will be the Kris Eggle Visitor Center at Organ Pipe Cactus National Monument – 10 Organ Pipe Drive, Ajo, AZ 85321. Please note the daily meeting times in the Itinerary below. A senior citizen an annual park pass, which allows you to enter any National Park system unit for a year, is $20. A lifetime Senior Pass is $80. A non-senior pass, which is good for 1 week, is $12. Breakfast Basket: $10 pp – Delivered to your room at 7:00am. The Basket will include an egg dish, muffin, fruit & yogurt. Coffee and tea choices are available at each room. Breakfast for Saturday and Sunday will be provided by the Inn. The fee will be added to each participants final bill, due at Check-Out on Sunday January 27, 2019. Packed Lunch : $11pp – At 7:30am a Lunch Buffet will be served at the Sonoran Desert Inn. Each participant is responsible for making their own custom sack lunch from the available options that include vegan and vegetarian choices. Your packed lunch will include a custom sandwich, chips, fruit and cookies. Lunch for Saturday and Sunday will be provided by the Inn. Every participant will have the fee added to their final bill, due at Check-Out on Sunday January 27, 2019. PLEASE NOTE THAT EVERY PARTICIPANT IS RESPONSIBLE FOR BRINGING THEIR OWN LUNCH ON FRIDAY JANUARY 25! Private Catered Dinner: $28pp – Dionne Vega, the best Chef in Ajo, specializing in Mexican and Southwest flavors with local ingredients, will cater a very fresh and healthy dinner for our group. The per person/night price for a full meal, includes tax, service and gratuity. Our private dinner will be served at 6:30pm in the Dining room at the Sonoran Desert Inn on Friday and Saturday. Every participant will have the fee added to their final bill, due at Check-Out on Sunday January 27, 2019. 3 DAY OPTION: The tuition for your 3-day Naturalist Journeys with an expert Ethnobotanist, Wildlife Biologist, Professional Birder, Naturalist, and Wilderness Survival Instructor is $330 per person, and it is paid directly to RWWJ by check. Tuition Excludes: Lodging, All Meals, Park Entry fees, and Gas. 2 DAY OPTION: The tuition for your 2-day Naturalist Journeys with an expert Ethnobotanist, Wildlife Biologist, Professional Birder, Naturalist, and Wilderness Survival Instructor is $250 per person, and it is paid directly to RWWJ by check. Tuition Excludes: Lodging, All Meals, Park Entry fees, and Gas. Dates: Friday, January 25 & Saturday, January 26, 2019. 1 DAY OPTION: Alternatively, if you are a local Ajo resident and wish to join this event on a daily basis, you are welcome on Saturday January 26, 2018. The tuition for your 1-day Naturalist Journey with an expert Ethnobotanist, Wildlife Biologist, Professional Birder, Naturalist, and Wilderness Survival Instructor is $125 per person, and it is paid directly to RWWJ by check. Tuition Excludes: Lodging, All Meals, Park Entry fees, and Gas. 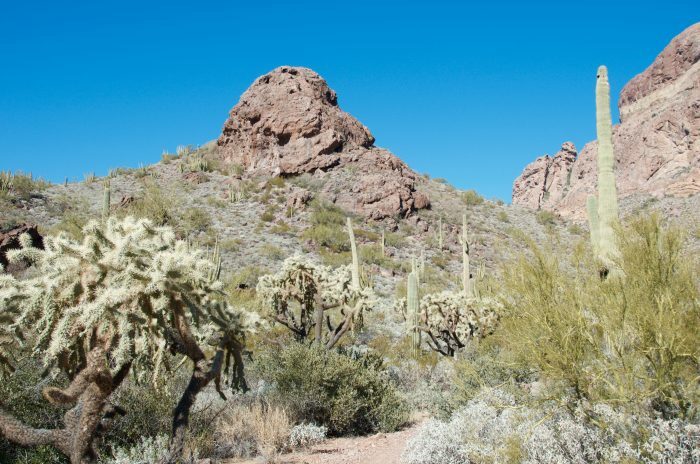 Meeting time and location:8:30am at the Kris Eggle Visitor Center at Organ Pipe Cactus National Monument – 10 Organ Pipe Drive, Ajo, AZ 85321. The Naturalist Journey on Saturday. January 26th will end at Organ Pipe Cactus NM at 5:30pm. Please include any pertinent medical issues and current medications, as well as valid Emergency Contact information on the Registration Forms. 10:30am – RWWJ Meets other participants at the Kris Eggle Visitor Center at Organ Pipe Cactus National Monument – 10 Organ Pipe Drive, Ajo, AZ 85321. Participants pay their Entry Fees and Naturalist Journey begins! 12:30pm – Lunch in the wilderness at Organ Pipe Cactus NM. Each participant is responsible to bring their own lunch, snacks and water! 8:30am – RWWJ meets other participants at the Kris Eggle Visitor Center at Organ Pipe Cactus National Monument – 10 Organ Pipe Drive, Ajo, AZ 85321. Participants pay their Entry Fees and Naturalist Journey begins! 9:00am – Naturalist Journey begins at Organ Pipe Cactus NM! At Ravens-Way Wild Journeys we are passionate about our Sky Islands Conservation and Education Mission, showcasing the amazing Biodiversity we are so fortunate to enjoy despite the many environmental challenges! 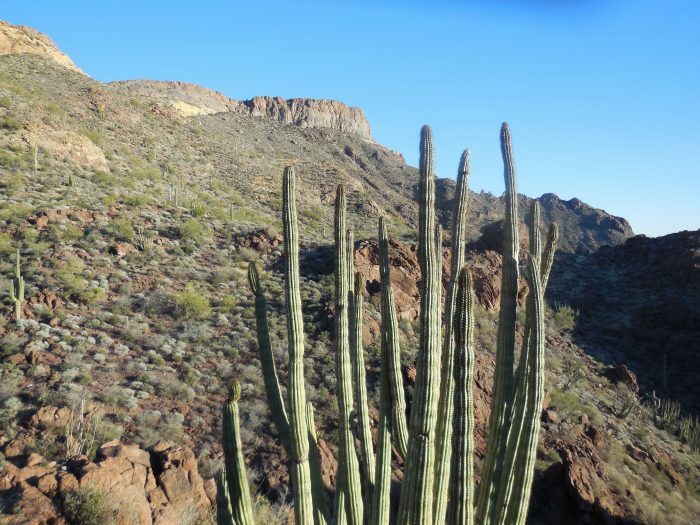 Join us to learn about Organ Pipe Cactus National Monument – a unique Sonoran Desert gem! Thank you so much for a wonderful weekend!!! Once again I have experienced a trip filled with rare beauty, lots of education of the nature of Organ Pipe Cactus National Monument, wonderful and unique housing and food and exceptional people with whom to enjoy this adventure. I’m so glad to have been able to do this. I hope you be able to attend another adventure in the future. Thank you so much for everything!! Another absolutely wonderful adventure with Vincent Pinto! I have yet to experience any disappointment with these planned opportunities to learn more about specific areas of beautiful Arizona and to do so from such a responsive and knowledgeable person. The accommodations and meals added to an already well planned and organized experience. I can’t wait to be part of future trips! Thank you Vincent and Claudia for another fabulous adventure! Kay P. Green Valley Hiking Club Leader, Green Valley, AZ. Such a wonderful weekend in Organ Pipe Cactus National Monument . I learned so much. Vince, you open my eyes to seeing so much even in small spaces. Thank you. Claudia, the accommodations were wonderful, and I appreciate your backup and support so much. It was an amazing and so educational trip to an amazing and beautiful park. And you both made it so accessible and enjoyable. Margalis, F., Green Valley, AZ. With many great memories Vincent and Claudia! Thanks again! John Mark J., Tucson, AZ.